Featuring a stylish décor, state of the art facility, and premium games, Parkwest Casino Cordova captures the decadence of luxury gaming within the Sacramento area. 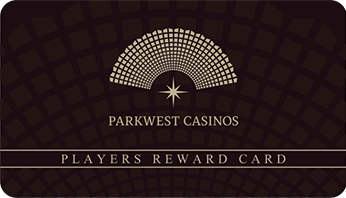 Parkwest Casino Cordova offers No Fee Gaming to popular California games including Baccarat, Blackjack, and 3 Card Poker. Come play your favorite table games without the noise and congestion of slot machines and in the comfort of our smoke-free facility. With plenty of action and the refinement of quality VIP service, Parkwest Casino Cordova introduces a new standard to upscale gaming. Our mission is to provide a consistent gaming and dining experience centered on customer service in a friendly, safe, and pristine environment.